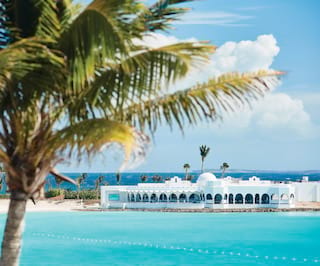 Between turquoise waves and the Caribbean’s best beach, Belmond Cap Juluca is a dream come true. Sink your toes into the sand, breathe deep, and anticipate true island serenity. Jetting across the endless blue of the Anguilla Channel, horizon punctuated by the hazy dots of distant islands… It’s easy to feel a world away from the life you know. 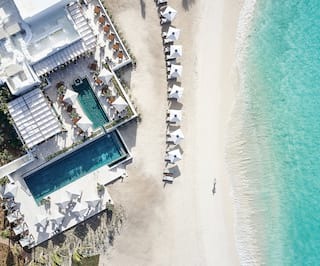 Then the white buildings of Belmond Cap Juluca come into focus, diamonds among the emerald foliage of Anguilla’s western point. You lose yourself in the pioneering spirit. These feel like undiscovered shores, rich with undiscovered treasures. The resort spreads out beside Maunday’s Bay; the best beach on an island famed for its phenomenal sandy stretches. Stepping ashore, you’re greeted by your friendly host and shown to your room. It can be difficult to tear yourself away from the picture-perfect beach scene, but don’t worry. 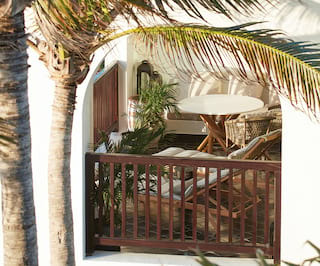 Every one of our rooms, suites and villas boast a gorgeous beach view. The interiors are also sure to take your breath away. Serene whites are paired with soft, pastel-tone fabrics. Outrageously large bathrooms are designed purely for pampering. Colourful flowers and natural botanicals help to bring the lush outside in. Whether you’re relaxing on your terrace or reading on your plush king-size bed, you’ll feel connected to the natural spirit of the island. There’s an endless array of things to pull you from the sanctuary of your room. Head out at first light and find your balance with yoga, held on the beach or in the verdant gardens. Stay active on our two tennis courts, whether a friendly rally or a true competition. Our pro-coach Shawn Romney is on hand to help perfect your backhand. Or perhaps head back to the beach and conquer the waves. Paddle surfing, kayaking, kite surfing, sailing, snorkelling… There are infinite ways to uncover the mysteries of the waves. Looking for a little less adrenaline? Head to Arawak Spa, the most indulgent spot on the island. Found just a few steps away from the water’s edge, you can enjoy true bliss on a private terrace or in a cabana on the beach. Browse through a delicious range of massages, facials and body rituals. 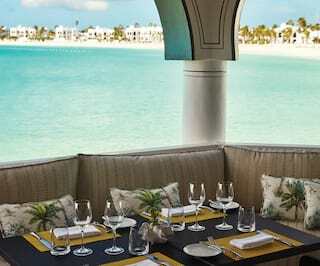 All draw inspiration from the island and use bespoke, locally sourced ingredients like Anguillan salt. Restored, you can further unwind by the spa’s private pool, or head to the resort’s stunning infinity pool. Both are ideally suited to whiling away the hours. As the sun sets and the sky shifts through a kaleidoscope of pinks and reds, let the scent of delicious cuisine pull you into one of our irresistible restaurants. 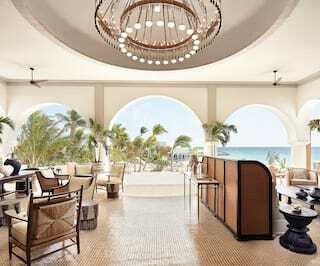 Executive Chef Andy Gaskin has masterfully created a choice of Caribbean and international dining experiences. 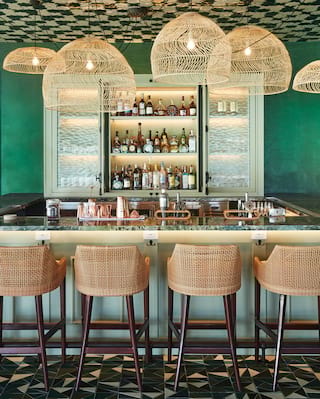 Savour refined Anguillan delicacies in Pimms or Peruvian light bites in Maunday’s Lounge. 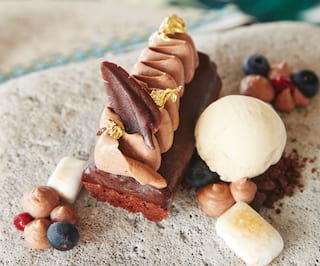 For the culinary curious, opt for the interactive Chef’s Table and learn what goes into each part of a stunning nine-course feast. Appetite sated, pad out to The Cap Shack for a nightcap beneath the stars. Live music sets the scene, complemented by a chorus of lapping waves and the gentle rustle of wind through the palms. Time here stretches into the horizon, and every moment is exclusively yours. Days like this are rare, but somehow, tomorrow promises to be just as magical. That’s something you can raise a toast to.